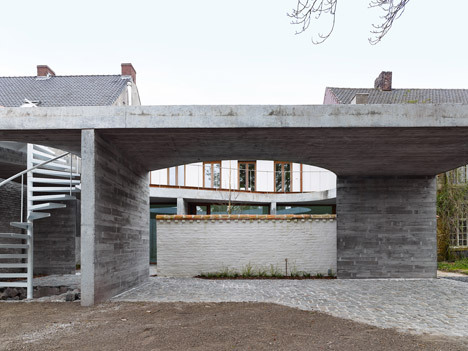 Graux &amp Baeyens Architecten has divided an old Flemish-design property in Belgium into a psychotherapy centre and apartment, putting in a concrete canopy to give each space its personal outside area . 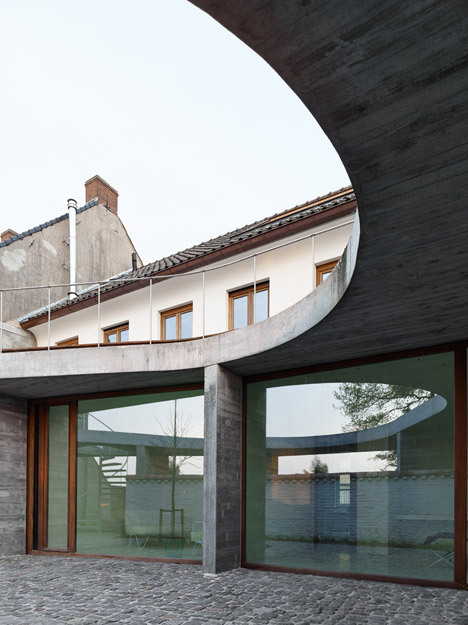 Named Omsorg, the project involved a comprehensive renovation of the run-down 3-storey house in Ename, while the new concrete platform was set up in the garden to create both a shelter above the existing patio and a new initial-floor terrace. 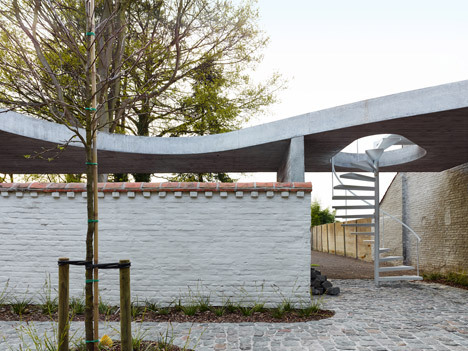 “The property hosts a psychotherapy centre and a dwelling, and the two declare a romantic relationship with the garden,” explained studio founders Koen Baeyens and Basile Graux, who are primarily based in close by Ghent. 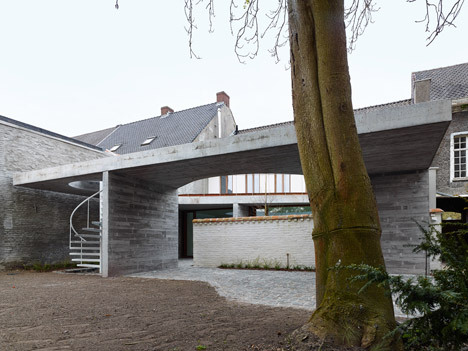 “This stalemate is lifted by introducing a concrete canopy in the backyard,” they said. 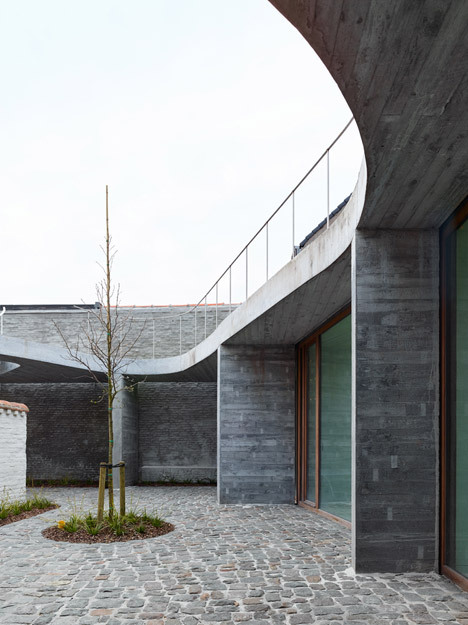 The introduction of the concrete structure gives every single house its personal private outdoor spot, even though also making it possible for both sets of occupants access to the communal garden beyond. The platform also served other purposes. 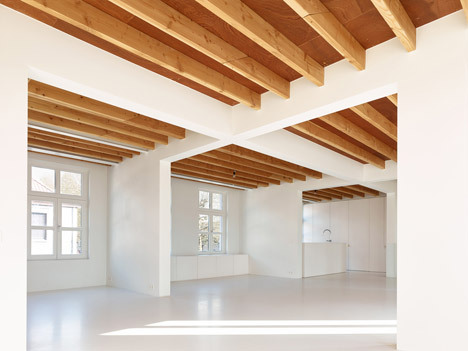 Most importantly, it allowed the architects to extend the ground floor out towards the backyard, allowing adequate area for 5 consulting rooms inside the clinic. It also frames a parking room. Most of the bodyweight of the platform is supported by 3 concrete walls. The positioning of these was planned carefully to ensure that an present garden wall could be retained. 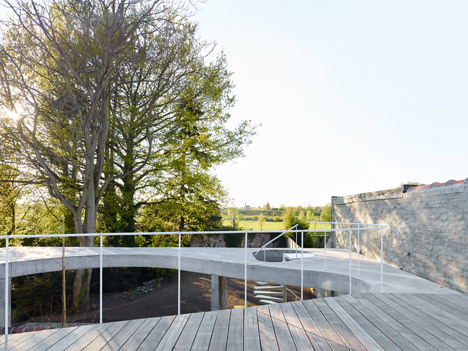 “We desired to preserve the old wall that divided the garden in two,” Graux told Dezeen. 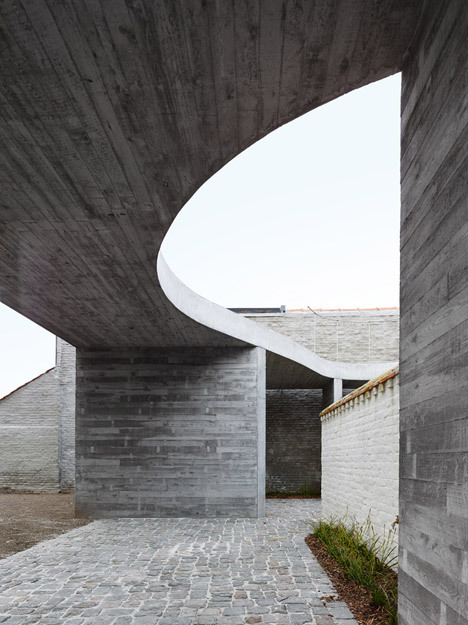 The concrete types had been cast against timber, giving them a stripy texture. 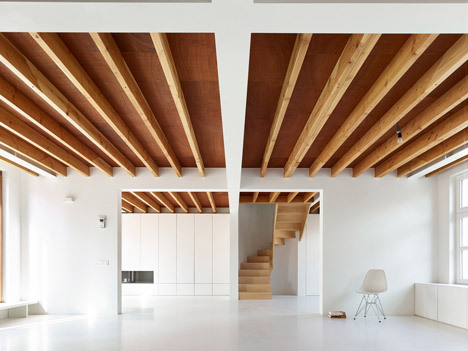 “The rawness and simplicity of the materials is interesting,” additional Graux. 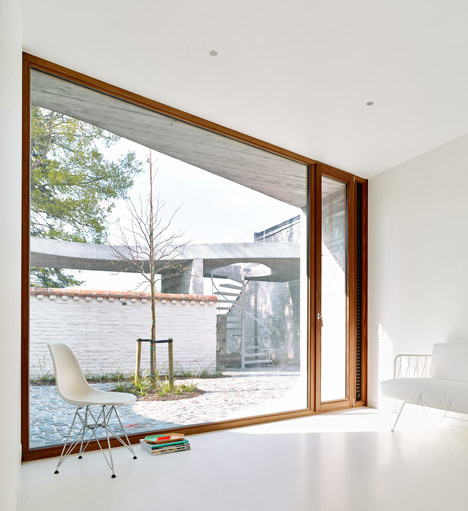 Within, the previous layout was discarded in favour of a symmetrical arrangement much more akin to this type of residence. “Our method was to restore this former balance in all programs,” Graux added. For the clinic, this concerned arranging a meeting space and the five consulting rooms around a core of staff amenities. 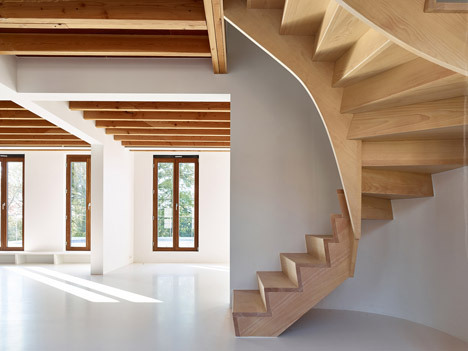 The apartment functions a much more open-strategy layout – six equal-sized rooms with minimum partitions occupy the first floor, while a wooden staircase prospects up to the second-floor loft. 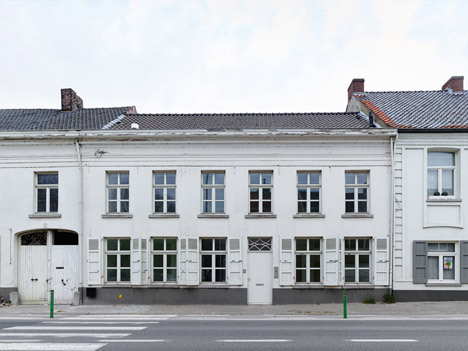 Photography is by Denis De Smet.